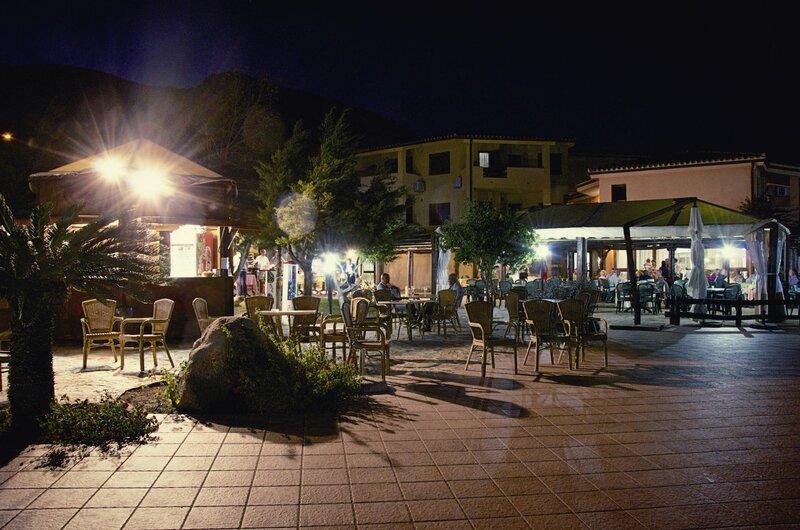 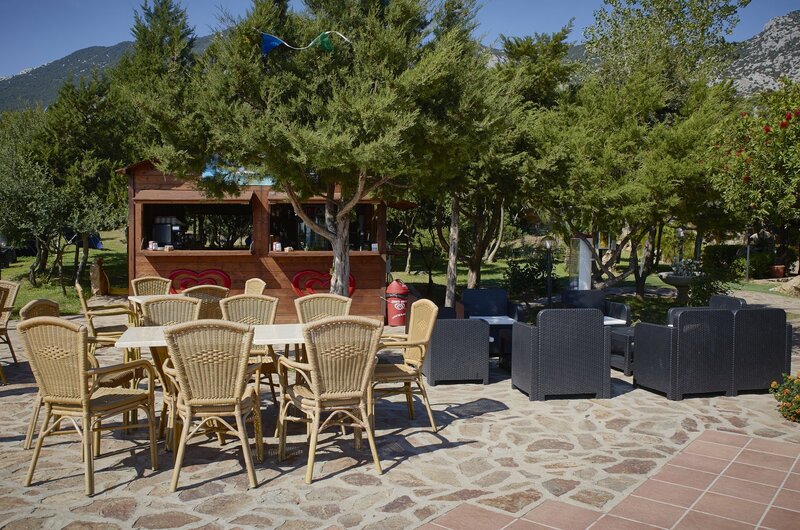 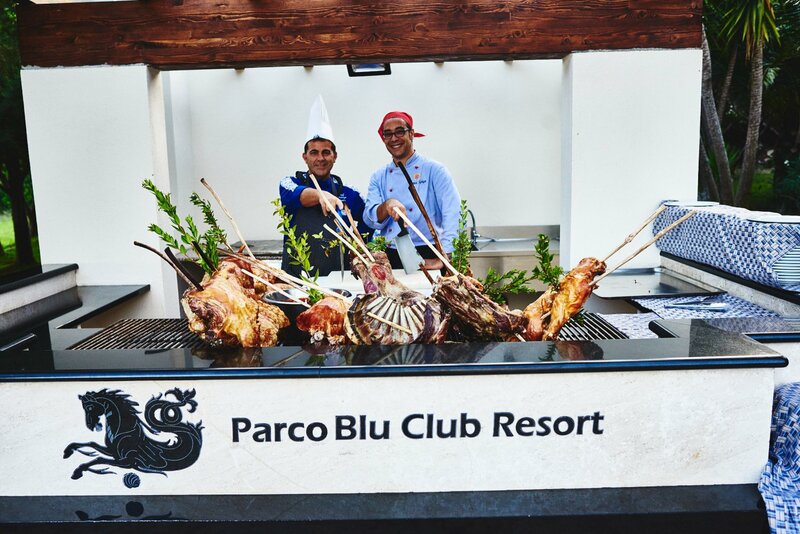 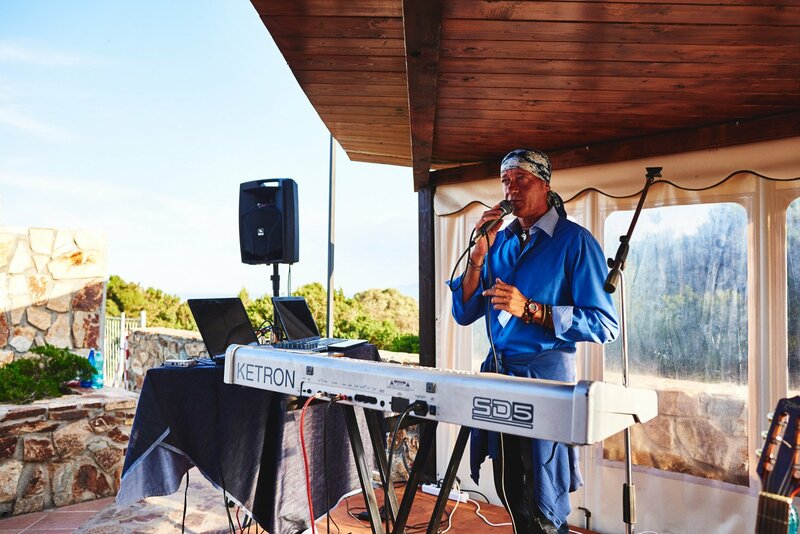 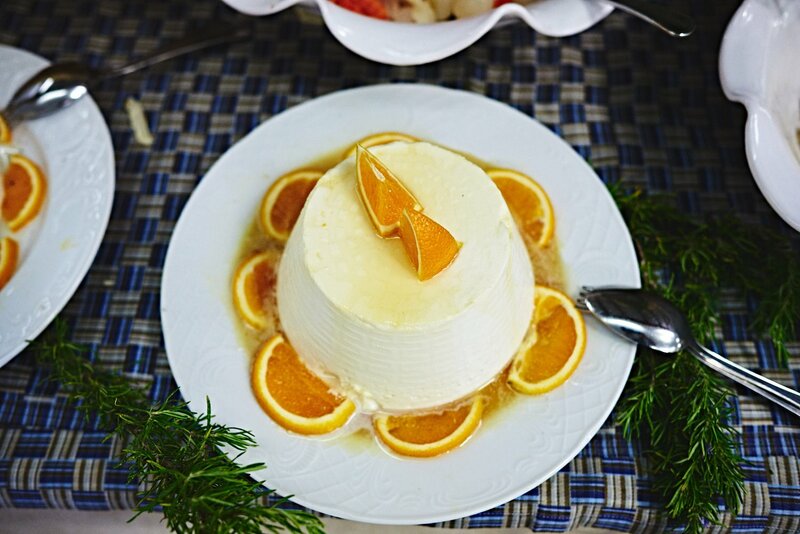 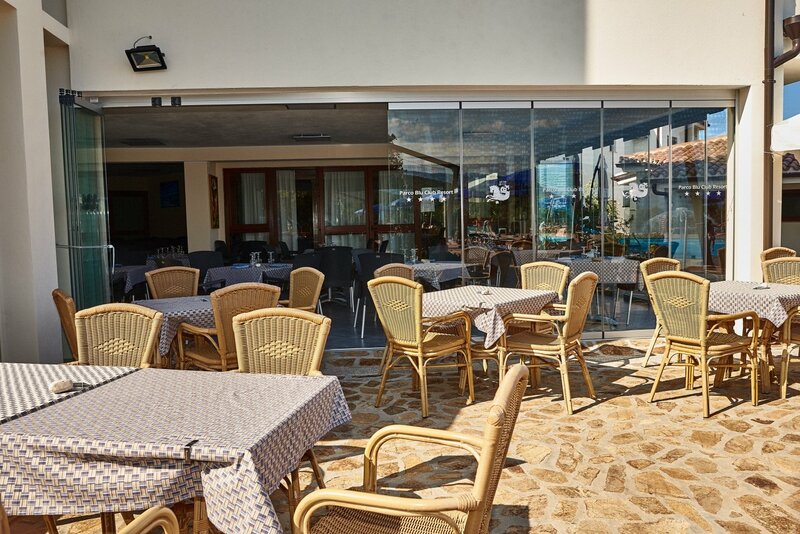 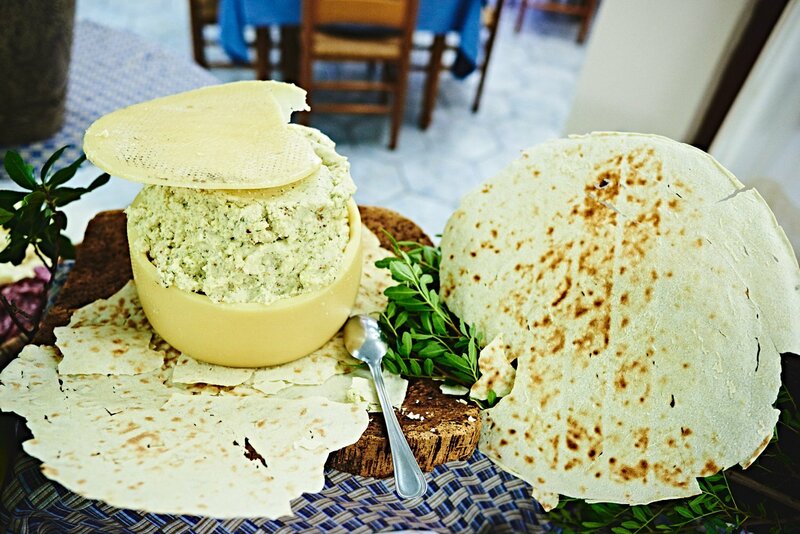 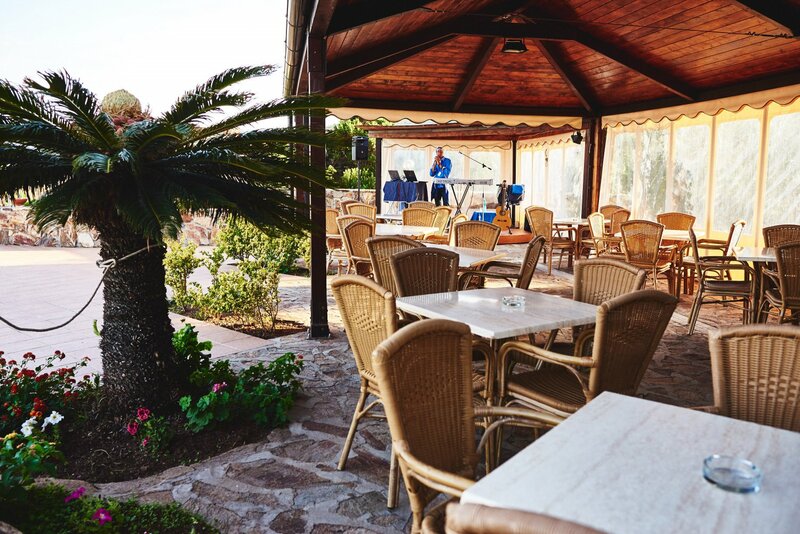 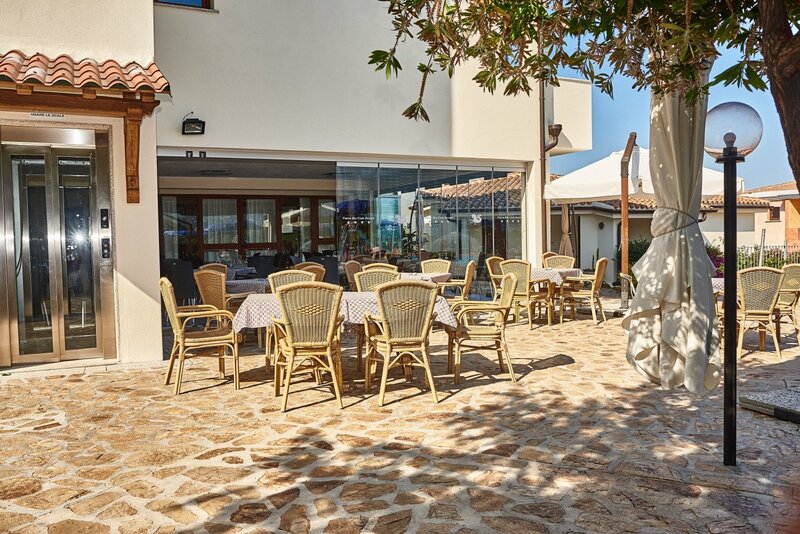 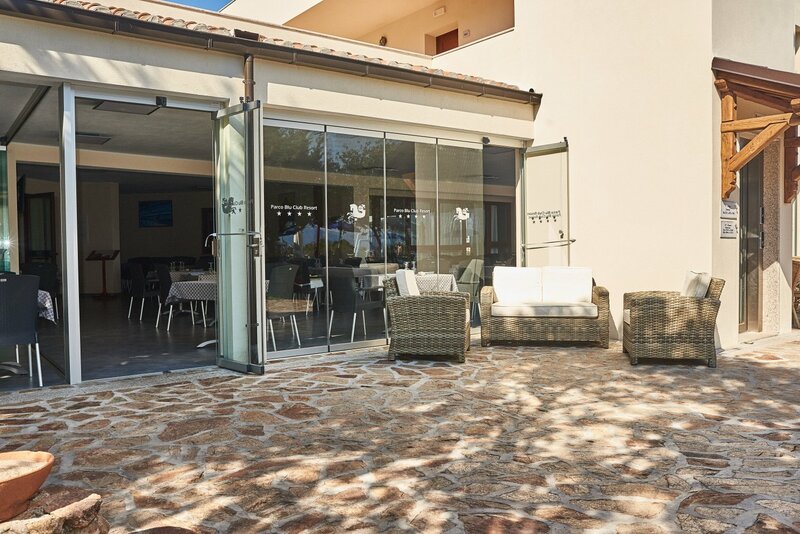 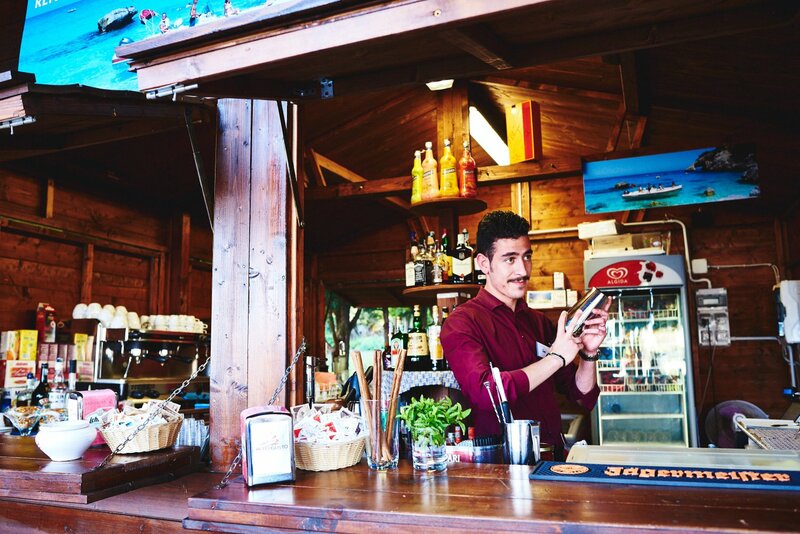 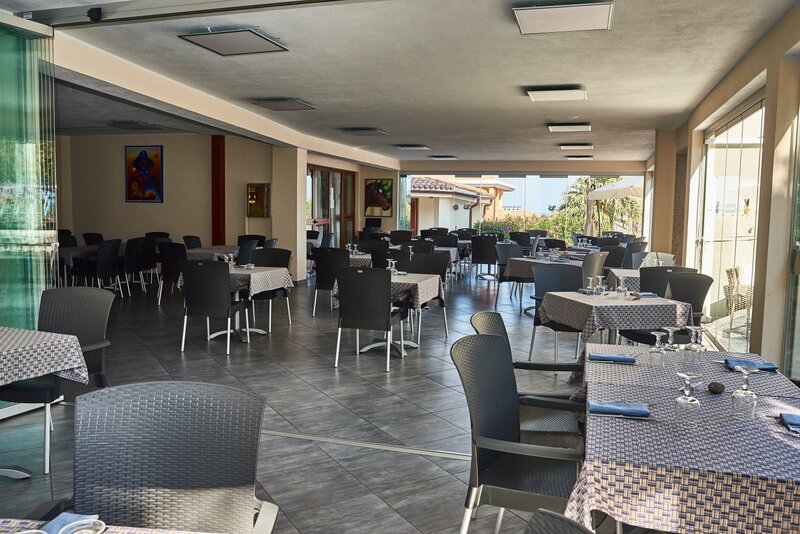 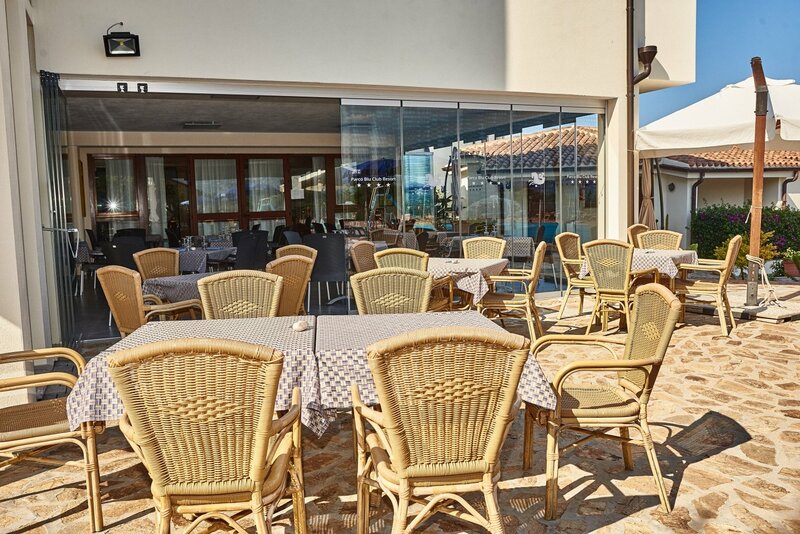 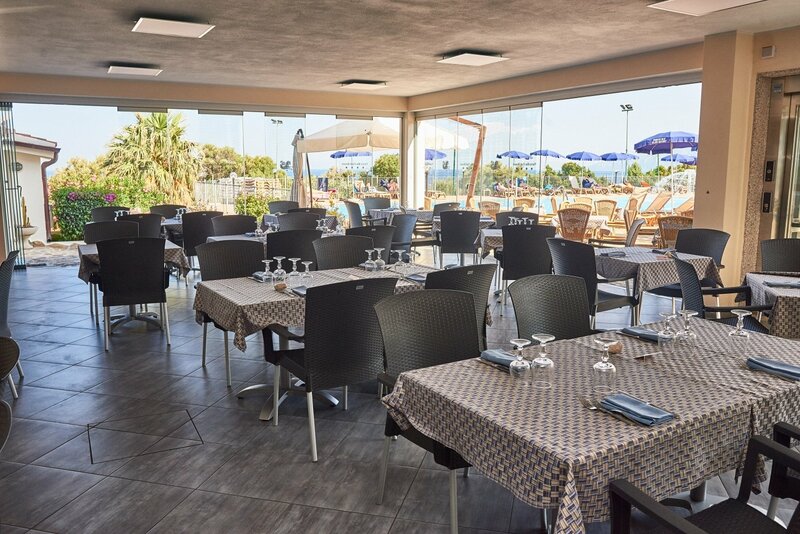 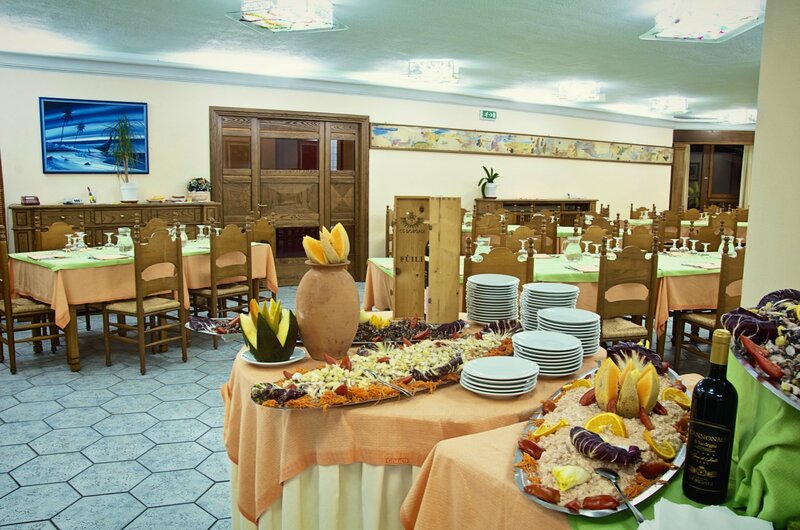 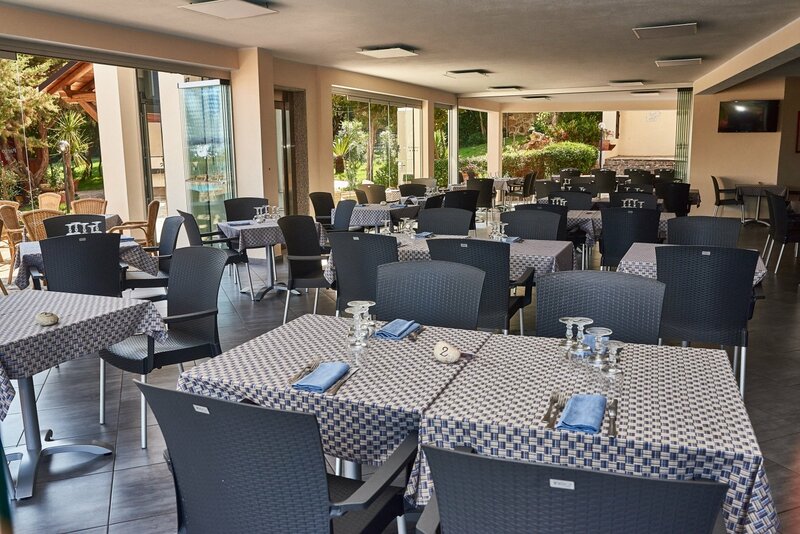 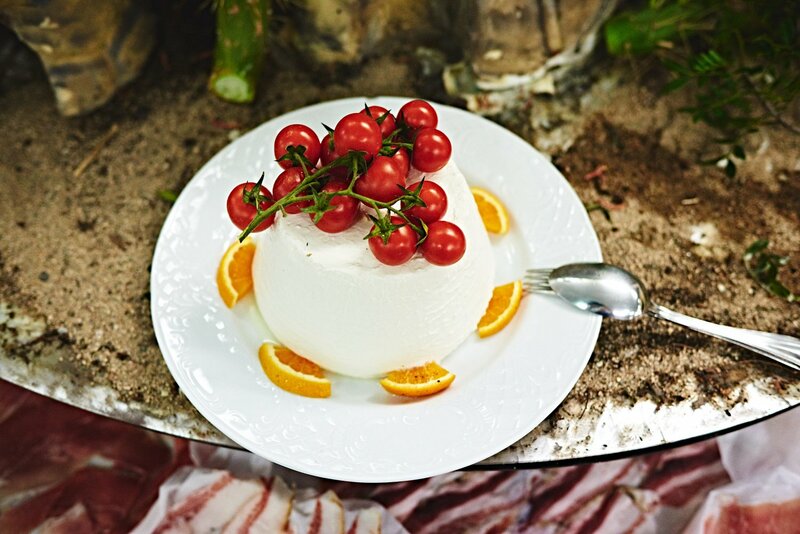 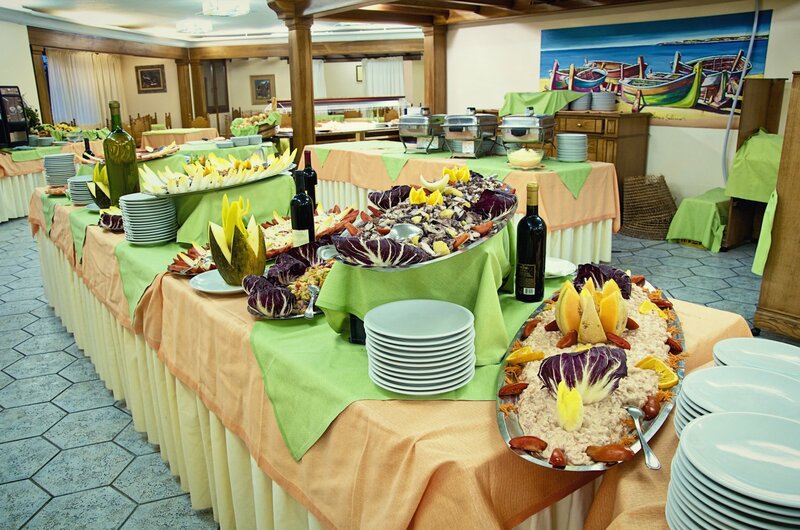 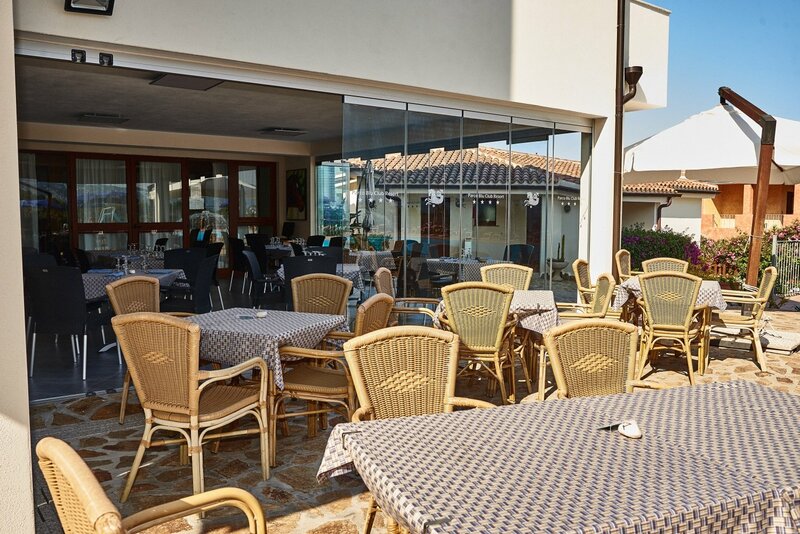 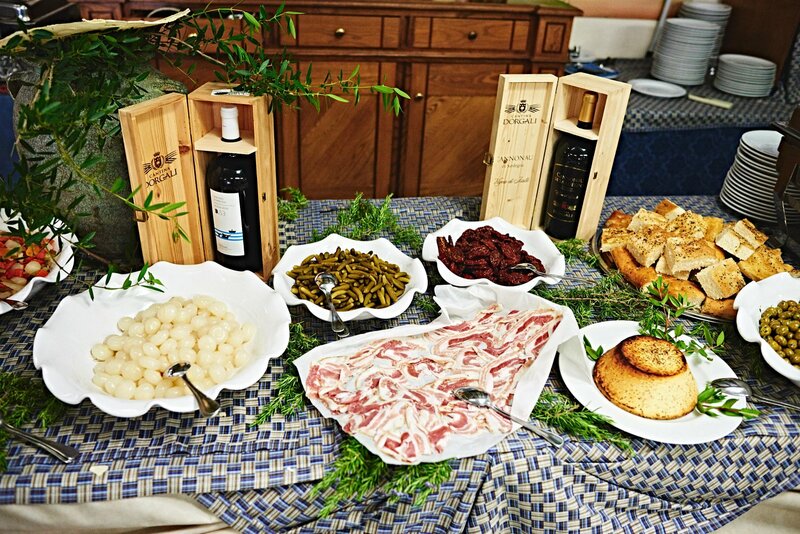 At the Parco Blu Club Resort, we pay a great deal of attention to the food we serve up, because we want you to get the most out of your holiday, and we are convinced that the local dishes constitute one of the distinctive features of this part of the island. 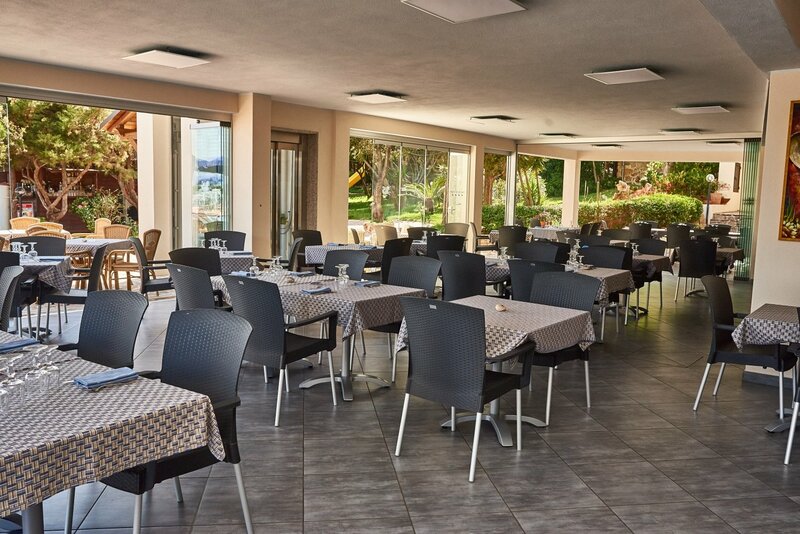 For this reason, every day we offer a rich buffet not only at breakfast but also at lunch and dinner, encompassing the finest traditional dishes, which you can savour in the air-conditioned dining room, or al fresco, on the covered veranda. 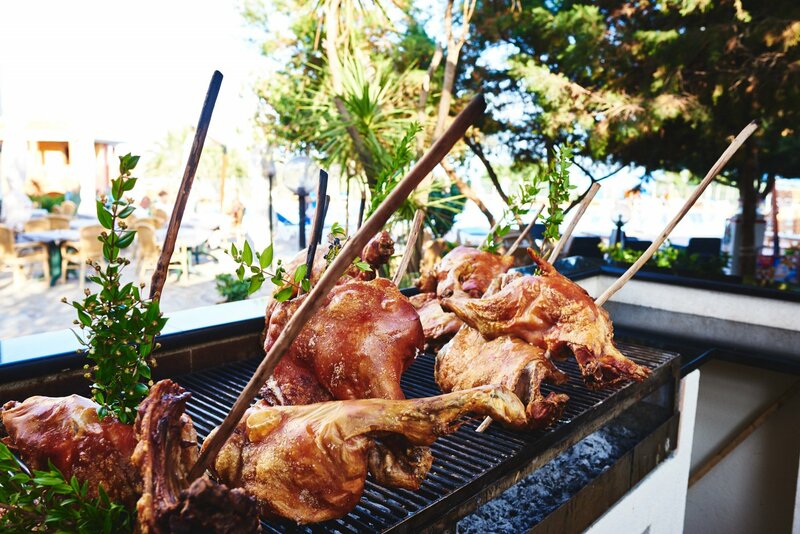 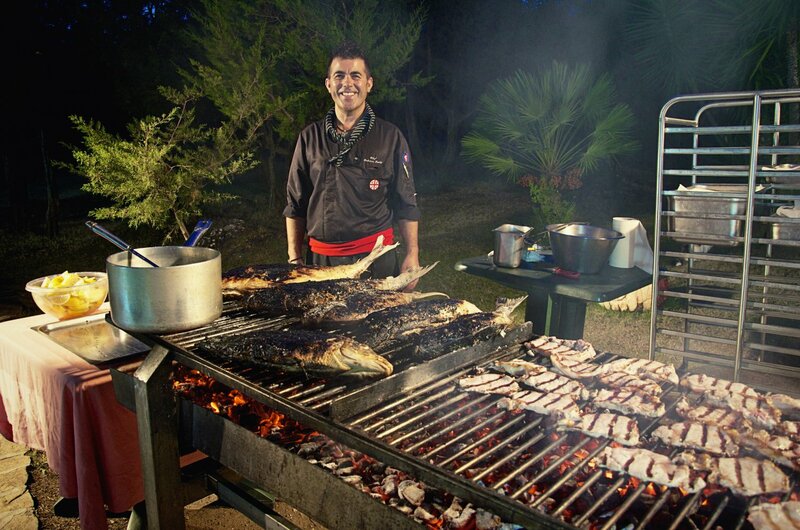 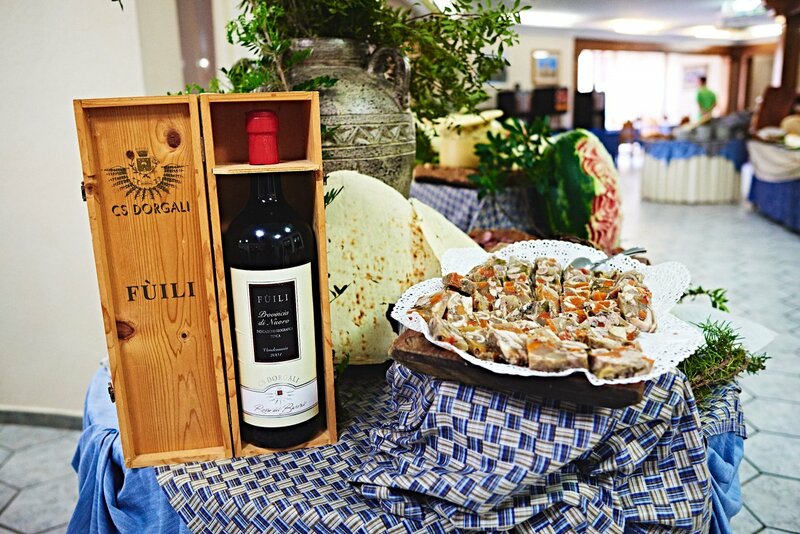 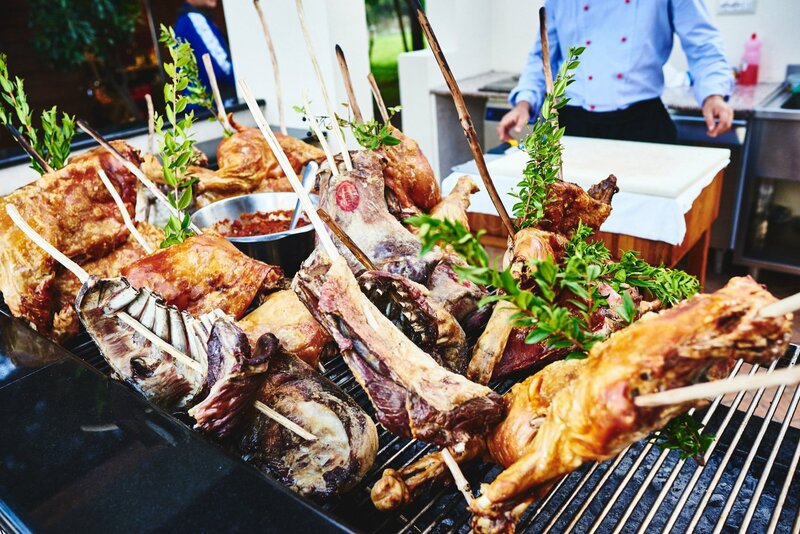 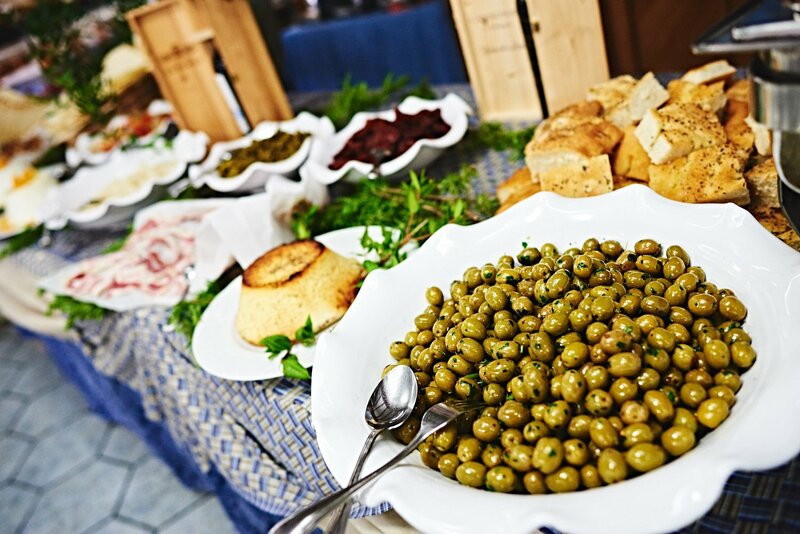 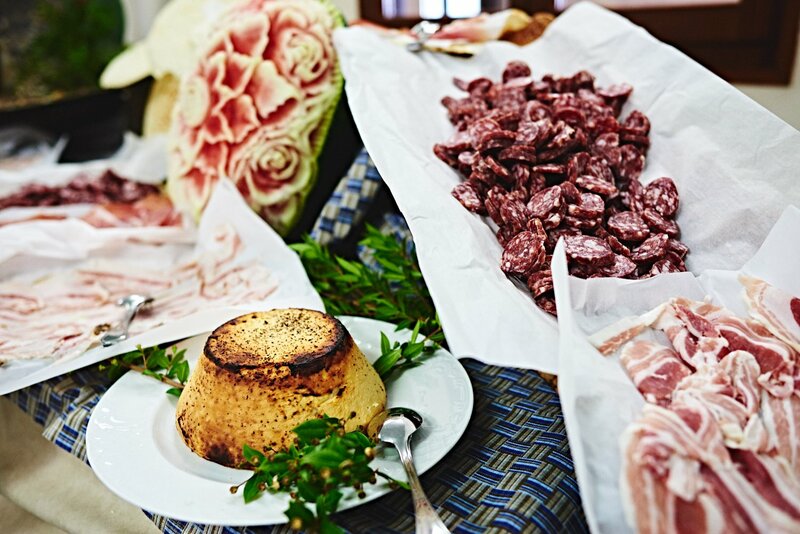 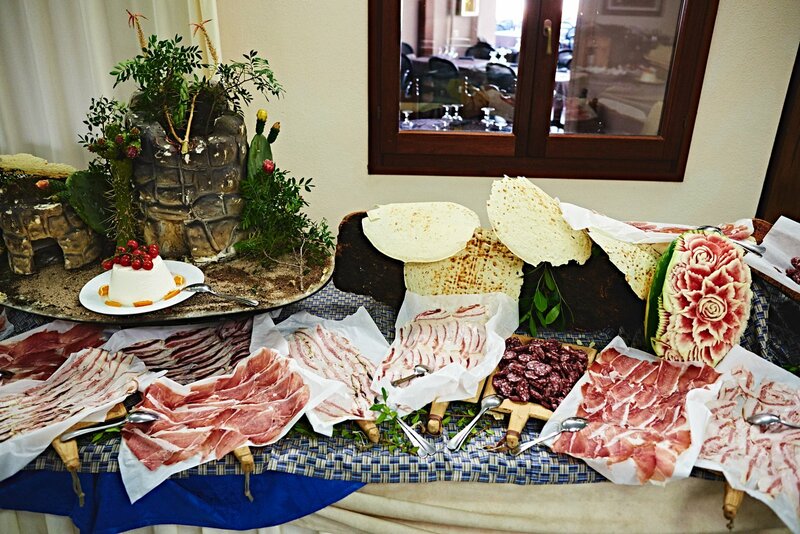 In the evening, for dinner, alongside the buffet of antipasti, starters, mains, sides and sweets, you can feast your eyes on some impressive showcooking at the edge of the swimming pool, which will give you the opportunity to sample the finest meats and the freshest food, all cooking on the grill.